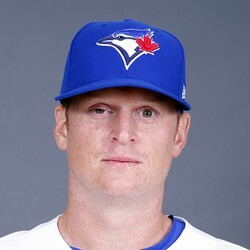 Blue Jays RHP Gavin Floyd pitched 1.2 scoreless innings out of the bullpen on Wednesday, allowing one hit and striking out one. Floyd will begin the season in the bullpen, but if he keeps up these quality outings, may find himself starting by late-summer, barring no injuries to the rotation. Aaron Sanchez will have his innings limited and Floyd will likely relieve him at certain times.